Being an absolute equipment junkie, I was approached by GolfDiscount.com to write reviews and share my findings with you. Having been chosen to write a number of Taylormade product reviews for GolfWRX.com I felt that this would be an excellent opportunity put my knowledge to use. Doing this driver review was a blast since the driver is my favorite and best club in my bag and I really love all the technology that comes with them. I also enjoy fitting people for a new driver and one of the main keys in fitting people with the majority of drivers that I tested was to have a positive attack angle to maximize playability. Knowing your current attack angle is a very important piece of information when choosing your new driver be it a negative or a positive attack angle. Testing was done at Newcastle Golf Course and Range, along with Maplewood Golf Course which is my home track using Taylormade Range balls and Titleist Pro V1x. Check out the 2016 Drivers Guide! One quick look at address and you’ll know that you have a Callaway driver in your hands. Clean lines and soft curves accompany this sleek 460cc all-black head. Feel-wise, it was not too harsh, nor too soft, just really solid feeling. The sound was between a loud crack and muted thud, which most players will find just about right. Once I dialed in all the adjustments, and boy is there a handful, I found the playability ideal for my ball flight, which is very piercing with some roll out. I found a good sized sweet spot in terms of forgiveness, however the rest of the face suffered much more. I was easily able to produce small draws and fades when attempting to work the ball. 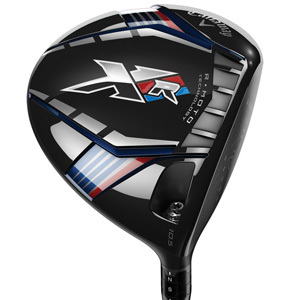 The Big Bertha Alpha 915 with all it’s technology and adjustments will fit a fairly large range of players once they get dialed in, but it’s truly more of a player’s head as it reduces spin, improves ball speeds and launch angles. Callaway has done a great job with the newest Alpha Driver, which still has that classic look and solid feel. A simple switch of the Core Chamber adds to the experience of this excellent launching head that can produce different spin numbers. You have another driver to add to your list if you factor in all the premium shaft offerings to the mix. 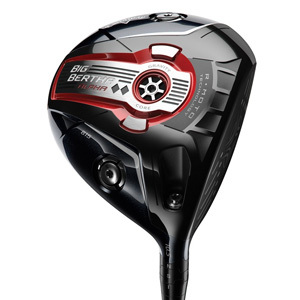 This is Callaway’s ultra-low spin version of the Big Bertha 815 model. Again, a compact head that sits very square, however it can be adjusted to sit anyway you would like with their OptiFit system. Knowing my swing, I went with the heaviest side of the Gravity Core towards the sole to provide better launch conditions for a positive attack angle. When facing the Core towards the crown it produces a much higher CG, which will help reduce spin for those with high swing speeds. Just like the Big Bertha Alpha 815, the Double Black Diamond version has a very solid feel and somewhat muted sound to it. This is another one of those “Toys for the Big Boys Members” in my book. Though, this is a must try for those that prefer a compact, solid feeling head that reduces spin. Paired with the Aldila Rogue Silver 60 shaft I struggled with this head. For me, control was an issue even with the Gravity Core placed towards the sole. 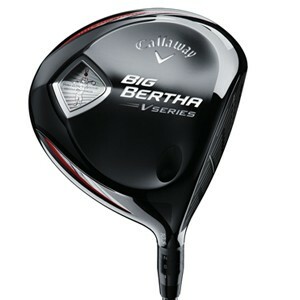 I pretty much saw this coming based on the design of the Big Bertha 815 Double Diamond and knowing my game. The standard Callaway XR is the 460cc version that comes with a 46” long Project X LZ shaft…Wow, 46” long! I tested a 9 degree head, but was able to launch the ball quite quickly like it was a 10 degree driver. Looks-wise, it’s not that clean, classic look that I saw with the XR Pro or BB 815 because the technology of the Speed Step Crown really makes the top of the crown stand out. Though, as usual after a few swings I barely noticed it. The XR sat much different than the XR Pro for me, to my eyes it seemed to sit square to maybe a tad closed. Again, the feel was excellent and to my ears the sound was quite neutral. The ball flight was on the high side so I opened the face, which lowered the face angle and reduced some spin. I saw a better ball flight after that adjustment. 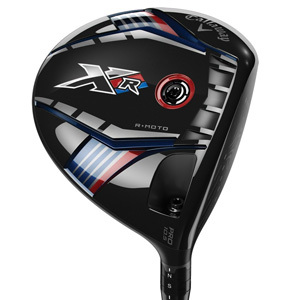 I feel that this version of the XR family will fit players that are looking for increased speed, easy elevation, and have mid to slower swing speeds. Mainly because the 46” shaft is hard to handle for most faster swingers. Paired with the exact same shaft as the XR Pro, I felt the Pro version was a better fit for my game. Though both were easy to swing and felt great, I am just not a big fan of longer length drivers because of the control issues that I tend to see from them. The XR lineup is one that the majority of Callaway fans will need to swing, and find out which version is the better fit. 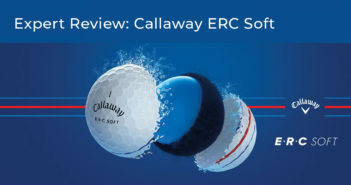 The XR family is the latest offering by Callaway Golf, and this review will cover the XR Pro version, which is 20cc smaller than the standard XR(460cc). Like other Callaway drivers, you notice right away just how clean and simple their head’s look. When set in the Neutral position, I felt that XR Pro version’s head sat somewhat open, something you do not see much these days without making some adjustments. Pairing it with the Project X LZ shaft, balance-wise the club felt good in my hands. The head really did not look like a true 440cc to me, as it looked bigger than that. Giving it a go, I felt that nice solid feel I have come to expect with most Callaway offerings. The sound at impact was nothing too extreme, nor too muted. After a few swings I noticed a pattern of a slight miss right. I made an adjustment by closing the face one click, which helped straighten out my drives. This confirmed what my eyes were telling me, and that the head was slightly open in the neutral setting. The ball flight was mid-high to high but did not over-spin. A few swings attempting to work the ball produced more of a cut than a draw for me. This is a really nice set up that should be able to help all types of players improve their driving game. Though it still is somewhat designed for the better player because of head size, it will still be a solid choice for most games. Since I played a Project X driver shaft for a few years, I was excited to try the LZ version, which is a hand wrapped graphite shaft. The LZ stands for Loading Zone, which one can actually see and feel just below the grip. This shaft will fit a large group of player types. 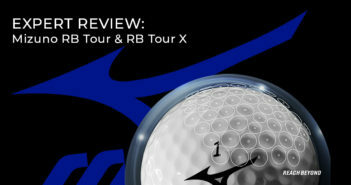 I enjoyed the feel and the clean looks of the XR Pro, and it showed me that it was a very enjoyable driver to swing. The overall weight of the club is lighter (starting at 290 grams) to increase club head speed which is the key feature with the V series. The head offers a very clean, yet simple look at address, though the V Sole tends to make the toe stand up a touch at address. The face provided a very constant, solid feel throughout a wide area of the face, and I also found the V series to be very forgiving on the majority of my mishits, offering good feedback. Those with mid to lower swing speeds who are not ready for the low spin, high tech adjust this, adjust that type heads will benefit from this easy to swing and forgiving head. As it was tested, I found the driver on the light side, and for my game this set up produced more spin and launch than needed. I was able to use the OptiFit System to reduce the loft a small amount, but not enough to see optimal results. Callaway does offer three different shaft weights with no upcharge if you prefer a heavier weighted shaft. 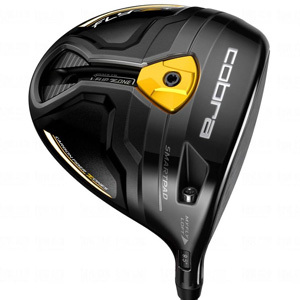 The new Cobra Fly Z comes with a back-weight CG and Forged E9 face for 2015. I tested the basic all-black colorway, but was wishing it was the bright orange bomber. Though I prefer a slightly open face with my drivers I felt the head sat a tad on the closed side, but nothing that I could not handle. Paired with the stock Matrix VLCT SP shaft, the black head and gold trim went well the shaft graphics. The loft adjustments come from Cobra’s MyFly Sleeve adjuster, and I set this head to 9.5 degrees. The back-weight comes in different weights, however I only tried the stock 8 gram weight. I like this type of offering because it really helps you dial in your preferred ball flight and the feel of the club in your hands. The head felt good to me, and the sound was not muted, nor was it very loud. When it came to playability, I felt the head provided ample forgiveness. The Cobra Fly Z is a head that the majority of the players out there can use. Its simple adjustability, confidence building head shape, and ease to swing are all things that most players look for in a driver. For me, I launched the ball too high even in the lowest setting which was 9 degrees. I just was not able to get a launch angle that would produce a mid-level, piercing ball flight with the Cobra Fly Z. I would have loved to have had the time to really dial in this head with the adjustable back weight, and maybe pair it with a different shaft to see what it could do. As is, it just did not fit my game. 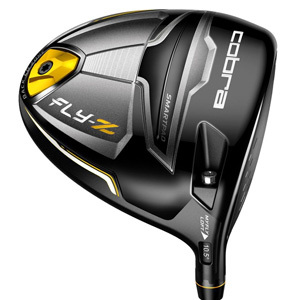 The Cobra Fly Z+ is another driver on the market that offers the player 2 different CG locations affording the player different ball flights without adjusting the loft setting. With the Fly Z+, you simple use their Flipzone technology to a back CG for higher launching, more carry type of shot, or a low-front CG for a more piercing ball flight with roll out. The Flipzone also comes in different weights, which can really help a player dial in the look that fits their eye flight-wise. The look of the Fly Z+ is not as swept back as the Fly Z version, which means the back of the head is more rounded and offers up a more of a players head look to it, even though coming in at 455cc it is barely under 460cc. I preferred the look of this head because it sat more square and compact. Again, I tested the all black colorway which was clean and simple. The Fly Z+ seemed more solid to my hands and provided nice feedback on mishits. My efforts to work the ball only produced a slight movement either way. Like the Fly Z, the Fly Z+ can accommodate a large-scale of players and more so for the improving or better players out there with the adjustability that it has to offer CG-wise. The head shape and face angle at address are features that these types of players looks for in a driver. The Fly Z+, with the additional features, really went a long ways to produce the ball flight that I was looking for, which I did not see from the Fly Z version. I was able to adjust the MyFly to 8.5, flip the weight to the front CG position and saw a much better ball flight and launch angle. The JPX head is a piercing blue/black compact 440cc titanium head that frames the ball well and sits very square to my eye. To accompany it’s hot looks, the head produced a very solid feel and sound with excellent feedback to my hands. With the option to spread the weights apart to help stabilize the head, I saw more forgiveness as my miss hits never seemed to waver much off line. I tend to have issues moving the ball left or right with smaller heads, but was able to pull off slight movements on command. The super smooth Fujikura Speeder 6.3 VC not only topped off it’s looks, but added a premium to the whole package. Anyone that loves Blue! 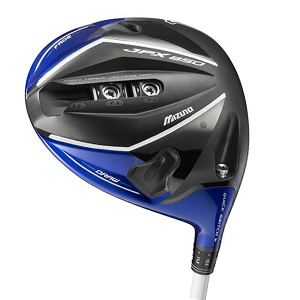 Colorway aside, I think the ability to change CG locations and or stabilize the head by moving the sole weights would suggest that many types of games would work well with this driver but I would narrow it down to those that can produce 90+ club head speeds with average to above average skills would benefit the most. The Mizuno JPX 850 is easily my favorite of the smaller footprint heads out there as I loved the simplicity of the Fast Star System and the options it provided. The stunning high launch low spin drives that I witnessed had me taking a step back and looking over at the the 1st tee after just a handful of balls. The Flex is another smaller, more compact version in the Vapor lineup, but with a twist. It comes with a system called Flex Flight which will offer the player two different CG locations so that you can adjust ball flight. The head is a very compact 420cc pear shaped head that really screams this is a players club to me. Looking down at the head you see a pretty simple, clean look other the bright Volt colored swoosh. The face grooves had a touch of the Volt color which I liked and would like to see more OEM’s go to other than white all the time. The sound of all the Nike Vapor series is very muted and doesn’t really provide my ears a sound of taking it deep. I felt the Flex version was even more muted. I tested this club twice because of the poor outing that I had the first go around, when I had the head paired with the Diamana Blueboard. I had to give another go before I could write a fair review. This time I installed a Diamana Whiteboard and made sure the Flex Flight setting was towards the rear of the head. I stared out at 9.5 degrees, but quickly realized that I need a lower setting. After adjusting to 8.5 degrees I saw an improvement. I hit maybe 7 straight balls in a row where the center fielder would barely have to move, but not one seemed to have any real pop behind them. I then hit one higher on the face and Viola! Wow, what a difference in carry and distance. I confirmed this on the very next drive and saw the same mid-high ball piercing flight that seemed to carry as well as anything that I tested to date. 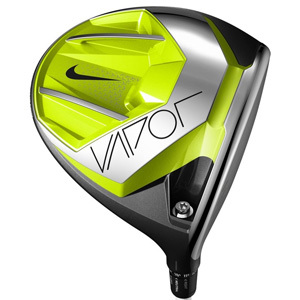 The Nike Vapor Pro is a slightly smaller footprint with the same 460cc size as the Nike Vapor Speed Driver, but it has more of a traditional pear shaped look to it than the Vapor Speed. This version also features a black face to go with the black crown, compared to the Speed version which has a silver face. At address I found this head to sit very square to my eye. Sound-wise I heard no change from the other version as it produced a very muted, muffled sound. It’s a sound that just does not provide my ears with any feedback that the ball is jumping off the face. In terms of ball flight, I found the Pro version to be lower than the Speed version when set at the same lofts. Feel-wise, I found these heads solid, but combined with the muted sound it is just different than I am use to. Working the ball was easy to do with the Pro version, and more so to the right than the left for this righty. I found the Pro to be less forgiving than the Speed version, though the level of forgiveness is still very good. The Pro version will be for everyone that wants to be like Rory! Really, its designed for the better player and those about to turn the corner of becoming a better player, who can produce higher level swing speeds and want more of a player’s look, launch angle and spin control. I thought from the start this would be my favorite version of the 3 Vapor models. With its slightly compact 460cc head, squared up face angle and the technology in place that offers up a penetrating ball flight with lower spin I was surprised for some reason that it was not my favorite. I paired it up with a excellent Diamana Whiteboard and it still just did not perform as well as the Vapor Flex version. My dispersion was very good, but none of my drives seemed to have that pop to it. I hope to get some numbers on this head and the Speed version, and see why this is or if it is just me. To me, the Nike Vapor Speed is the best looking of all 3 Vapor versions mainly because of the larger 460cc head it comes with. The head sat slightly closed so I made a quick adjustment with their Flex Loft sleeve to the right setting and the head sat much better. After a few swings I found myself dialing the loft to the lowest setting because my ball flight was too high. My dispersion was quite tight once I did this and I was able see more of the shot shape that my eye is used to. 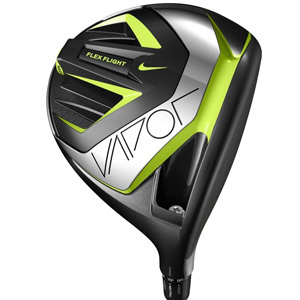 Nike drivers have a unique sound to them because of the design which is not good or bad to me ears, just different. I was not a huge fan of the Volt colored Swoosh on the crown but after a few swings I hardly even noticed it. With the stock-offered 50-gram Fubuki shaft that comes standard with the Vapor Speed, it’s more for mid-high to slower swing speeds. Paired with an upgraded shaft the Vapor Speed can be played by anyone, as I found the head to be very playable and easy to swing. This was my second take with this head as my first go around was not very good. This session was a marked improvement as I saw tight dispersion combined with a nice ball flight. My only concern was the distance that I was seeing when compared to other drivers that I tried. Until I get this club on a Launch Monitor I just cannot put my finger on why that was. The first thing you will notice when looking down at the G30 are the 5 Turbulators on the crown. These offer a captured appearance with the ball and assist with alignment and inspiration. The Flat Black 460cc head is one of the larger footprints you will see and looks so, so easy to swing. The G30 has a very solid feel with a sound like no other. The cracking sound off the face along with the solid feel made for that instant feeling that you just flushed your drive. This was easily one of most forgiving drivers that I tested. Mishits still felt semi-crisp, with good dispersion and length seemed to make driving the ball very easy. I also found that moving the ball left or right to not be as much of a chore as it can be with other heads. Better question is who is it not for? 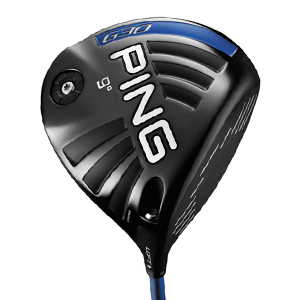 Ping offers two other G30 versions, but this version will no doubt fit the majority. Simple yet effective adjustments made the G30 flat out fun to swing. Super feel and sound complemented by an excellent stock shaft only enhanced the experience. My test club had more loft than normal, but to my surprise it worked better than expected. This is one of the few Drivers out there without any adjustable features. It’s a Point and Shoot Driver just like the past Burner offerings and is about speed! It features a longer light weight shaft to enhance the heads aerodynamic design. Looking down at the new AeroBurner you quickly noticed the Raised Center Crown creates an extra alignment aid to help frame the ball at address. You’ll also notice that Taylormade has gone back to the White colorway which gives the head an even larger than it looks feel. The head sits square to a touch closed when compared to the slightly open TP version and both versions have a slightly shallow face height. The feel was solid and crisp as I tend to find with any glued in heads. As for the sound, it produce a more solid thud sound over the higher pitched sound from most adjustable head. My launch angle was quite high, as the 9.5 degree loft seemed more like 10 to 10.5 degrees of loft to me. Mishits were better than most as they were with past Burner offering and much more forgiving than the Lower/Forward CG heads. With no worries about adjustments it’s a great Grip it and Rip it driver. 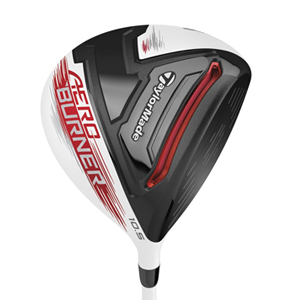 While the R15 may be the Flagship head for the 2015 season, the AeroBurner will offer a wide range of players a simple point and shoot driver that will be forgiving and quite possibly one of the longest drivers for 2015. In the past I have found the Burner series to be very long distance wise, but would come at the cost of some lost control. With the AeroBurner I found improved dispersion, along with a flatter ball flight. After a few test drives it had my full attention. This is one of the few Drivers out there without any adjustable features. It’s a Point and Shoot Driver just like the past Burner offerings. The AeroBurner TP will feature an upgraded heavier shaft, a slightly flatter lie angle, plus an array of Custom Order Shafts. Looking down at the new AeroBurner TP you quickly noticed the Raised Center Crown creates an extra alignment aid to help frame the ball at address. You’ll also notice that TaylorMade has gone back to the White color-way which gives the head an even larger than it looks feel. The TP version sits square to a touch open when compared to the slightly closed non TP version and both versions have a slightly shallow face height. The feel was very solid as I tend to find with any glued in heads. As for the sound, I always like the sound of the glued in heads as they seem to produce a more solid thud sound over the higher pitched sound from adjustable heads. Both of the AeroBurners models launch the ball quite high, as the 9.5 degree loft seemed more like 10 to 10.5 degrees for me. With the Upgraded Matrix White Tie shaft, my dispersion tighten up and the ball flight flatten out more so than with the non TP version. In my attempts to miss hit the this driver, I found it to be very forgiving with my mishits way off the toe and somewhat forgiving when near the heel area due to the new longer Speed Pocket design. TP stands for Tour Preferred. This line is inspired by Touring Pro’s so better players or improving players trending towards becoming better players will tend to gravitate to the TP version vs the non TP version. While the R15 TP may be the Flagship head for the 2015 season, the AeroBurner TP will offer a wide range of players a simple point and shoot driver that is forgiving, easy to launch and quite possibly one of the longest drivers for the 2015 season. The R series is back for 2015 with the R15 430. The first thing you’ll notice is that TaylorMade brought back the white head for 2015 and a Front Track System that is further forward and dual weighted. The white crown against the all black face really outlines the ball well at address and looks slightly larger even though its still only 430cc’s. On the sole you’ll notice the additional weight which offers up a variety of settings to fit your game. The SLDR 430 was already a very solid feeling head, but the new R15 430 is even more so with a very muted sound and marked improvements in playability. The Low Forward CG design is not the most forgiving out there, but TaylorMade has increased the forgiveness with the ability to spread the weights apart to maximize stability. I struggled with my attempts at working the ball, but a stronger player may not have the same findings. “The Big Boys Club” who love a smaller head design with low spin and higher launch. If you are a high speed, high spin player that had trouble launching the SLDR high enough, make sure to put the R15 430 on your list. The minor changes in looks and increased forgiveness are much welcomed improvements. I was able to loft back down a notch when compared to the SLDR model. My main gripe was that I had to move the track weight to be able to access the shaft for any type of adjustments. 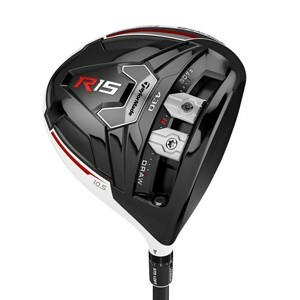 The R series is back for 2015 with the R15 460cc Driver. The first thing you’ll notice is that Taylormade brought back the white head for 2015 and a Front Track System that is further forward and dual weighted. The white crown against the all black face really outlines the ball well at address and looks slightly larger than last years SLDR. On the sole you’ll notice the additional weight which offers up a variety of settings to fit your game. I found the R15 460 to feel not as solid as the R15 430 version but a marked improvement over the SLDR. The sound is slightly more muted which is also an improvement over the SLDR. The ability to spread the weights apart increased the overall stability of the head on my miss hits. Add a slight larger footprint and a tad shallower face and you should see marked improvements in forgiveness when compared to the SLDR. This added forgiveness also enhanced my ability to work the ball better. 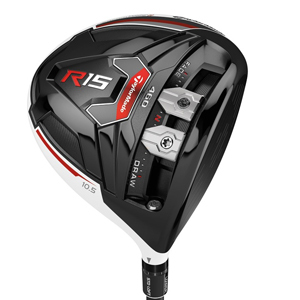 Being their flagship driver for 2015, TaylorMade has made some nice improvements to make the R15 460 more suitable for a wider range of players. Lower spin, lower launching players might struggle some. The minor changes in looks and increased forgiveness are much welcomed improvements. This is still one of the longest drivers on the market due to the proven Low Forward CG which produces a great launch with low spin rates and I experienced both of these to the fullest. One small gripe was that I had to move the track weight to be able to access the shaft for any type of adjustments. The 460cc 915 D2 is what I call a classic profile with its clean, all-black colorway. At address the head sits very square, simple and rich in appearance. The feel was solid and crisp, but the sound was something else. Acoustically speaking, this is one loud head and some ears might not be too fond of the sound that it will produce. The low deep CG provided me with solid forgiveness especially when my miss hit’s were slightly high in the toe area. I experienced excellent ball flight as it provided me with a slightly higher launch angle with a flat ball flight. I was also able to work the ball fairly easily as I do with most low deep CG designed heads. The D2 has that player’s club presence to me, and definitely suits the more advanced player. Though, with its adjustable settings and premium shaft options it is versatile enough to fit a wide range of players and swings. Its smashing good looks, cracking sound, excellent ball flight, and an array of premium shaft offerings available at no upcharge makes the 915 D2 a solid choice. The 440cc 915 D3 with its all-black colorway is a more compact version of the 460cc 915 D2 model. At address the head sits very square to slightly open. It has very appealing look that is simple, yet rich in appearance. The feel was excellent and quite possibly a more solid feeling then the D2, but again the sound was very loud to my ears drums. As for forgiveness, I noticed a slight drop off as I do with most smaller CC versions, but not a big one. Working the ball was difficult for me, but I was able to see minor movements both left and right. Better players that produce very high to high swing speeds, that insist on premium high shafts offerings, and love shape of a more compact head design. The better player with mid-high swing speeds looking to lower their spin rate can also be a benefit from this smaller version but I would suggest trying both models. I found the 915 D3 more appealing than the larger D2 version which is not the norm as I usually prefer the larger CC versions. Once dialed in, I was able to produce a high flat ball flight that fit my eye to a tee. If you’re a shaft junkie like myself, the selection of premium shafts (best in the biz) at no upcharge is an added bonus. The 460cc titanium head is a clean and simple, with a flat-black color, and easy on the eyes at address. The head shape is classic, well balanced, but nothing fancy. The feel was solid, crisp and not to harsh, accompanied by a solid “ting” sound. I found the forgiveness pleasing overall on the majority of my mishits. Dispersion wise it was very good and I enjoyed the smoothness of the head/shaft combo working together. Those looking for a well balanced driver without all the bells and whistles or confusion over adjustability will love this simple yet very playable driver from Tour Edge. 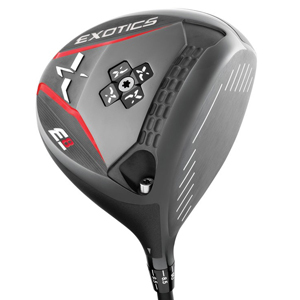 The Exotics E8 with the Fuji Pro 62 was very easy to swing and produced solid results once I dialed down the loft to produce a more penetrating ball flight. I found the club to feel a touch on the light side in my hands and would switch out the 7 gram sole weight for the heavier 10 gram to help combat this. The Tour Edge Exotic E8 Beta is a really clean, simple looking head. 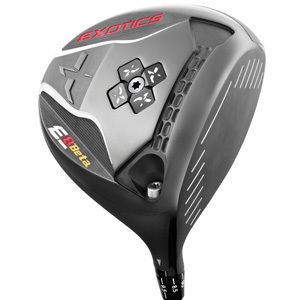 The is the Beta Titanium faced version that is 440cc deep-faced, low-spin version of the Tour Edge Exotics E8 Driver. I paired this head with a Fujikura Pro 73 TS shaft, which is slightly on the heavy side for me. Looking down at the E8 Beta, I noticed two things right way, the flat black head and the white grooves on the face. The flat black is simple and clean, and the way the grooves are placed on the head really frames the ball well at address. Adjustability comes from a sole weight, and different lofts from the hosel unit. To my hands, the feel was solid and crisp, offering very good feedback. Sound-wise, it seemed like the Beta version was just a little bit louder than the non-Beta version. The head sat square with the loft set at 8.5, but looked to have more loft than 8.5 degrees in my eyes. Both versions will fit a very large variety of players. I found it interesting that the Tour Edge Exotics E8 version, the Tour Edge Exotics E8 Beta looks clean and simple, produces an excellent ball flight, was easy to swing, and had super tight dispersion that had me taking notes. Both versions are sleepers in my mind, and should not be overlooked. Lastly, I like the adjustable weight in the sole, which helps dial in your swing weight and/or ball flight. What I didn’t like is that you have to buy the kit to do so. I just wish the new Wilson Staff D200 driver was included in this list. 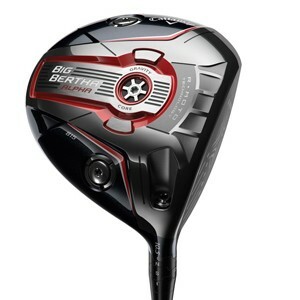 Golf Magazine and Golf Digest rated this Driver very highly and Golf Digest gave the D-200 Driver a Gold rating. I was disappointed it was not included here. Thanks though for the reviews you did give. I enjoyed your reviews. Thinking of grabbing a new driver. Vince, which driver are you thinking about? Enjoyed the reading, most reviews are strictly positive on clubs. While they were very positive there were also little comments thrown in to warn you about some negatives. Nice job. Charley, the 2015 drivers class is a very good one. The OEM’s are really putting in the time to offer some very good products for 2015. Keep reading my reviews and you will see that some of the products just were not a good fit for me as I try to make this clear in the review. Great reviews. I am especially interested in the Ping G30 and Callaway Big Bertha V Series drivers. I have had a variety of drivers and still fight my slice so I think either of these would help improve my game. Bill, look at the Ping G30 SF Tech about helping your slice. Though I did not test this head out because I prefer a square to open club face, this would be a solid choice based on my findings of the other G30 versions. A lot of great information here. Very helpful! Fred, I’ll see what I can do about getting one up for ya. 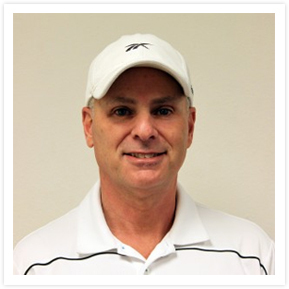 I found all the reviews to be thorough and very helpful for the average golfer, especially where it explained who would benefit most from the particular club, and why. Robert, thank you very much…..can I ask which one are you looking at? Thanks for the reviews. I would have liked to see actual data and numbers from your testing to give a better comparison between clubs of different brands. Dan, down the line we could possibly be adding this or one on one shoot outs. Is there one that you would like to see? B, “to much” Explain please. As for Ping, give it a go….great benchmark driver to compare others to. Enjoyed reading the reviews you shared. Any chance you may include the Cobra Fly-Z+ and the Nike Vapor Flex another time? B, the Titleist D2 version at 460cc with the proper shaft will fit a large range of players were the lower spinning smaller D3 version is more for higher swing speeds and higher spin rates. As for the Ping, yes you must give it a try! Love the new AeroBurner. Might have to give it a test run!! Will be shopping for a new driver this year! Great review. I am really interested in the Ping G30. You should be! Great driver and maybe the most forgiving of them all. Thanks for this guide. It was very helpful! 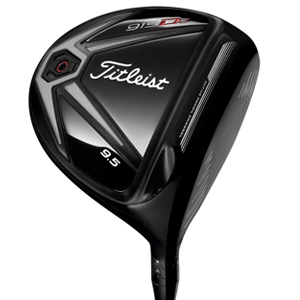 I currently have a Ping i25 driver, but the G30 is very tempting. Thanks again! A great question and something that I will suggest that we look into going down the road with the 2016 models vs the 2015 models. Having played Taylormade drivers the past years, I could have answered this question In a second and did make some reference of this in my R15 reviews. Just got the Ping G 30. Love it. Love the new Titleist 915D2! Damian, what’s your set up please. Shaft, length, settings, and loft? Tell us a little about your launch monitor numbers also. Thanks for the reviews. It helps narrow the choices for a new driver. Which models did you narrow it down to and why? Did the reviews help? Both Taylormade drivers are a must hit and one should stand out over the other based on your swing. Let’s us know how it turns out please. The choices are getting harder and harder to decide on which driver.I guess you stay with what you like. I’m very pleased with my 915 D3. I’m not a big hitter, but I’ve gotten a few more yards out it than I was getting with the 913 and the Ping i25. Always like reading about the newest clubs. Thank you! Thank you for reading the reviews and sharing this with us. I have been thinking about a new driver, so this has giving me some great insight. What is your current driver and what has your eye? Being old school I see a lot of the same old same old from the manufacturers, new paint job lighter shaft, couple more do-dads to screw around with and another $399 out of your golf fund. Every wonder why no one can afford to play golf any more? It’s not sour grapes on my part I love new equipment I’ve got a garage full (bad habit golf hoarder) . Truth be told my index runs between a 9 and a 12 and no matter how much equipment I buy or how much I practice that hasn’t changed in decades. Now I play for the love of the game not the equipment, so now I can afford to play more golf. There are many ways to improve ones game and I believe that equipment is defiantly one of them. I like what’s presented. I would like to see the Nike offerings and what you think of them. I’ve read good things other places and I want to know how they stack up in your opinion. The 3 Nike Vapor should be posted any day now. The flex version stood out to me which surprised me. Look for them soon! Well done. Solid reviews. Thank you. Thanks for taking the time to read them and comment here. Thank you for the great information. I am in desperate need of new clubs, so the timing couldn’t be better. I currently have TaylorMade woods & Ping irons, so I am a fan of both. After reading your reviews, I am going to look @ the Ping driver as well as the TaylorMade. Thanks again! Lots of choices. I’m leaning towards a Taylormade. Looking forward to the 2015 golf season with my aero burner that I am about to win!! Grom – Very good reviews that are helpful for a golfer of any level. I specifically like how each club has a section about who it’s best suited for and why. Perhaps a comparison chart would be good for the future? Just a suggestion. It has been talked about and I hope it happens soon. Just a brief note on comparisons. A member of WRX did a Shootout with over 12 drivers and narrowed it down to 5 drivers. Those 5 drivers on paper varied 1.5% in yards……this was from a player that hit it 300 yards and in play. The variance of 1.5% at 300 yards is 4.5 yards! Once you know which models best suit your game, it’s comes down to looks, feel and dispersion in my book. Very nice review. I am currently using a taylormade rbz driver which I can hit far but often create too much spin which leads to the ball tailing of course. I have tested most of the adjustable drivers listed on this review. I had a hard time getting them up in the air but the ball flight was a tight draw. I probably just need more loft. I hit the R15 and the JPX-850 (just bought the jpx 850 forged irons and love them) best. I’m surprised the new Nike driver wasn’t reviewed as well. Still playing a Burner 2.0…might have to upgrade to an AeroBurner, or venture away from Taylormade to try one of these other beautiful clubs! The Burner 2.0 is one of Taylormade Best openings to date in my book. The non TP version I feel needs a shorter length and some head weight to get the swing weight back around D-3 and with this comes more control along with great distance. The Aeroburner is also a great offering and worth a look even for those with a Burner 2.0! Really interested in the G30. I have the G20 and have liked it. How much of an upgrade would the G30 be? Would love a new driver! Currently have TM R11. Hit the R15 and LOVE it! Maybe this will get me over the hump and get one. Really liked the who is it for comments. Thank you for the information about drivers as I am a relative beginner and the info in the article is particularly helpful to me in pointing me in the right direction to a new club. I must admit: the golf club designers are the best. Year after year they come up with something new and different that makes us all buy another one!!! If I hadn’t bought a RBZ a little while ago I would be after the R15 with the 2 sliding weights.! Great break down on all aspects of the new drivers, the choices seem endless ! Thanks for the info ! Some great choices out there Michael for sure, but without a doubt some will be a better fit for your swing over others. Thanx for sharing your insights. Thanks for reading them and commenting here…..which driver are you eye balling? Helpful reviews that will influence my decision on a new driver. 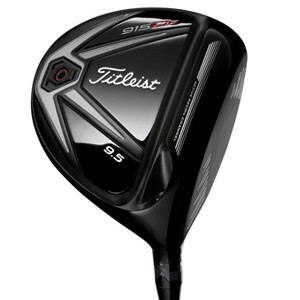 I love the look of that Titleist 915 and can’t wait to try one. Titleist offers up so many shaft choices at no cost, so there has to be one for you. Which head will you be trying? Great recap as I consider the next driver purchase/upgrade. Care to share what that might be? Still like the R15 460. Want it this year. Is there an easy way to get tested on your launch angle and spin rate to know if I need a more lofted driver or not? 2) or just attend a demo day that has a a launch monitor at the site and hop in and test a driver on it and have them email you your info. I did not see a Cobra reviewed. Those should be up any day now. Please check back. Any day now…..please check back. I thought your guide offered great short and concise descriptions of the drivers listed. As a suggestion, it would be even better if you listed the varying loft ranges for the adjustable drivers as well as shaft flexes available for each. If you don’t want to expand the size of each driver’s review, this information could be added to the “Full Review” section. Finally, as another reader pointed out, it would be helpful to know the handicap of the reviewer. Thanks for your input on a few different thoughts. It will be discussed because it makes sense. As for my personal bio, please click on my name above my pic and it will bring you to my bio page with more then enough info about my game and more. I’m thinking the R15 460cc would look mighty fine in my golf bag! The reviews were excellent and I think because I am a PING guy, that I would probably purchase the G30 or wait until the I30 comes out. Unfortunately, you did not test the Cobra Fly-z driver which I have tried and liked at least as much as the G30, maybe even a bit more. I have found really no difference in the two clubs as I hit them both about the same distance and trajectory. Usually I will go with the one that gives me the most bang for the buck, in this case, the new Cobra Fly-z’s. Still love the PINGs but Cobra is coming up fast!! like all the information about the new drivers very informal and give you a heads up about them helps you choose which driver your interested in trying out or buying. I think that from my personal experiences , asking question after question and from what I have read from clubb fitters the swing weight is NOT as important as the shafts weight and it’s kick point. I am a shaft junkie. It has to fit me – a stiff in aldilia can be whippier than a regular in an AJ Tech and so on and so on. Personally, I find fujikora shafts have a superior edge to most competitors. Having said that there are one or more from of the competition that are Excellent shafts. The right driver head is what ever catches the individuals eye. Size, color and sound have given the golfer to many false promises. Shaft lengths have given the a mature the illusion of more lenght, when most top pro’s swing 43 ” – 43 1/2 ” and we ALL know how far they can hit it. I am happy when I hit 7 – 10 fairway in a round and play the same ball for 18 holes. Thanks for the info on the drivers. Really helped me choose the top two I want to go out and try. The Titleist, and Ping are on my list. Pretty much confirms my decision to try the Ping G30. Glad to hear so….loved my wow factor that I experienced with it. BTW, how come no review of the Fly-Z? This is a solid, honest set of reviews. Well done Bob! I am very intrigued by the Aeroburner (both versions) and the Mizuno JPX 850, as I haven’t hit either yet but have heard great things both here and elsewhere. 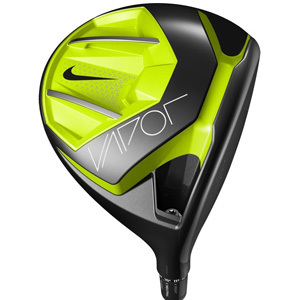 My favorite drivers I’ve hit in this year’s crop are probably the 915D2 and the Nike Vapor Pro – hope you get a chance to hit the Vapor if you expand this review, Nike really has a killer line this year. They’re the only two that I’d consider swapping out for my current 913D2 as it stands right now. Bob is spot on about the Ping G30 being built for everybody. Most forgiving driver! I’m in desperate need of a new driver and this definitely gives me something to ponder. I liked your comments about the feel and adjustability of the clubs. I would have liked to have had a little more information about relative driver distance, ball dispersion, and other stats that might help me choose among these very worthy candidates. For instance, you might say that driver X seems to be more workable left or right that the others you tried, or that you really got the best overall length from driver Y. I know that club testing can be very subjective – one man or woman’s monster driver can be another’s unplayable slice producer. However, as a club pro you could give us your read on some very basic stats. Great post. If I had a negative attack angle with my driver instead of a positive one my finding would no doubt be different. So many variables from player to player and now even from club to club because of CG location. Distance comparison is something that we have on the back burner and again is very subjective based on so many variables. I made a comment on another post that a Plus Handicap player did a Shootout on GolfWRX who produced 300-305 yard drivers. He tested a large number of drivers and narrow it down to his top 5 and then went to Trackman and found out that these 5 drivers varied a grand total of 5 yards between them. That is only a 1.5% difference between the 5 yardage wise. We are talk about adding some types of stats in the future and or some one on one comparisons. I have really liked Callaway the last couple of years. I buy a lot of clubs. Too many! I enjoy reading reviews on the new stuff. May have to tryout some of this years offerings. 2015 finally looks like the year I will change my driver. There are so many great choices. Thanks for the reviews and guide. Very informative! I can’t wait to try out the tm aeroburner and r15. Thanks for all the insight. Still like the white heads of TaylorMade. The G30 is an amazing stick. I’d love to have it go head 2 head against an R15. Very good reviews! Thank you for sharing!!!!! Thanks for reviews. It will help me make decision. Great reviews. Playing the Ping K15 and may have to try the Ping G30 to see if it is as forgiving as my ancient K15. Getting close to a purchase of ping G30. Undecided on shaft. Wondering when the G35 or next version may appear? Christo, tell me about your swing……..speed, do you hit it high or low, your miss shots go which way, your attack angle and transition be it smooth, semi quick or quick and your release point. I am pretty much a shaft junkie and might be able to help suggest a shaft for you. Very interesting reviews. I particularly liked the comments of the sounds made with the different drivers. Hate those “tinny” drivers. Very good read! I am debating whether to purchase a new driver this year or wait til next but if I chose this year I have a couple that I will definitely try out from this article. I appreciate the work put into this review. For me, i am sold on the new G30! Great review. It’s exactly what I needed. Now that I have this new knowledge, I can confidently go out and look for a new driver. Good review. Consistent with my personal experience with Ping G30. Hitting women’s Taylormade RBZ about 165 yards. Love it, but always wondering if a new driver would give me that 5-10 more yards… Guess “down the middle” always trumps distance. The Ping 30 would be my first choice……………get on a monitor to see which version would be best for you. 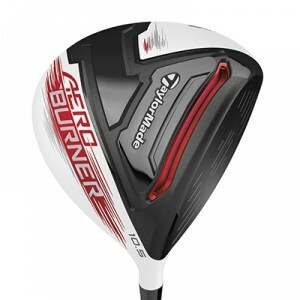 As for the Taylormade heads….I like the Aeroburner for forgiveness.